I've known and admired Robert Silverman as one of the guiding lights of Canadian classical music since the late 70s. 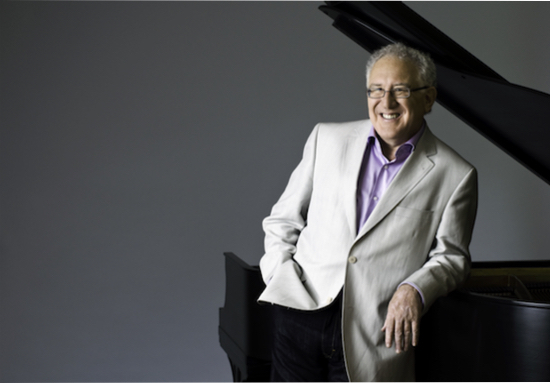 Through his many recordings, teaching legacy and concerts throughout the world, Silverman is known as a deeply thoughtful artist, guided by music's structure and emotion rather than mere flashy technical displays. That's not to say Silverman doesn't have the technical minerals. Just listen to his complete sets of the Beethoven and Mozart Sonata for proof of a wonderful technique. And here with Chopin, an artist needs both; interpretation and chops. Best bring your A Game as you'll be competing with the very best in both performance and recording. Silverman does bring both with his latest recording, produced and recorded by Ray Kimber and his crack team from Kimber Cable. Much of the music composed by the sickly Chopin from very late in his life is reflective and deeply moving. Some of it was composed from what became his deathbed. Feeling pretty under appreciated by his lover George Sand (her real name was Aurore Dupin) and in quite a bit of pain, these seven masterpieces channel unhappiness, but, just possibly, as they are so beautiful, reflect the opposite of Schumann's masterful statement of Chopin's works as 'Cannons behind flowers'. Robert Silverman, Canadian concert pianist. Silverman frames the plaintive recital with two masterworks, the Fantasie in F minor, Op. 49 and the gorgeous Ballade in F Minor, Op. 52. Drama and pathos combine in both pieces weaving what might be tall but very private musical tales. Silverman gets the balance just right, never over pedalling and using his technique to add a delightfully filigree touch to many of Chopin's more expressive moments. These two performances represent Silverman at his musical best. The artist never loses his elegant touch or the structure of a melodic phrase in the other exquisite repertoire. Like the best Chopin performances, Silverman invites you into a small parlour and he's playing for one. The one being you, not him. The best players in this repertoire like Rubinstein, Nelson Friere and Martha Argerich, allow you a glimpse of the composer's most intimate musical thoughts; most probably you're asking for more. If you are not a Chopin aficionado, no worries. When playing through the program, you'll recognize a phrase here, a piece there (Valse in A flat). They are so famous, they transcend the genre. You'll be smiling. 'Oh, I know that'. And if you're an expert, you'll relish an artist such as Silverman got back into the studio at nearly age 80 to record his superb Chopin for the rest of us. The recording? Absolutely exemplary. We all know just how difficult it is to record a piano well; Kimber and his team nail the Steinway sound and Silverman's touch of it. Just the right amount of bloom but with plenty of power. If you have a good turntable and ancillaries, you'll be inviting both pianist and composer into your virtual parlour. Surfaces are silent and pitch stability, always a worry with piano recordings on vinyl, is rock solid. Comprehensive liner notes by Silverman add to the aura of expertise and excellence. Very highly recommended. Recorded using the ISOMIKE RECORDING TECHNIQUE recorded at DSD256 with no compression or equalization other than that of the RIAA curve.